I have a jacket that I want to put a fur ruff on; either by doing it all myself, buying the ruff and attaching it on, or sending the jacket in and having it done. Does anyone have any advice on how to go about doing this? So far I found only one source for a fur ruff which is made of wolverine fur and velcro-backed but at $325 USD its more that I want to spend. http://www.weberarctic.com/arctic-gear/polar-clothing They do say what I thought after seeing a coyote pelt and that is that the ruff is not just a strip cut from a pelt but somehow pieced together so that it "makes the fur stand “up” so it can better cut the wind". How would the pieces or strips be cut and would they be sewn to themselves or to a fabric backing? I'd really like to trap myself a coyote and start from there but I'd be ready to buy a ruff if a source is found. Here's my jacket, it a single layer Ventile jacket from Hilltrek in the UK. http://www.hillgear.com/acatalog/Alligin_Single_Ventile_Jacket.html Its sized pretty large and I need to cut the sleeve length down a fair bit to fit so its not really in proportion in this picture but the overall length is good. I bought it in spring on sale after working a couple near eighty hour weeks so I had a pretty nice paycheck. I also bought it after having returned a modern jacket that was recommended by some arctic guy but it turned out to be just some ridiculous modern garbage and obviously only recommended because of sponsorship. Re: Fur Ruff, how to sew or where to buy? I have a similar question. I have a fur stole (coyote?) that I want to use to make a removable fur ruff for a hood. It has fabric already sewn to the edge so I am thinking I will use snaps to attach it, or maybe some "omni-tape" style snag free velcro. I added a removable coyote ruff to my single layer Ventile coat and it's worked out very well. I called Bill Worb in Winnipeg to buy the fur. Explained the project to him and told him the length of the ruff I needed. http://www.billworbfurs.com/. He sewed up a length of fur using nice, long winter grade coyote. (You want winter grade). The direction of the fur pieces he put together all go in one direction as you can see. The longest hairs come from the the hide that runs atop the animal's spine. I recommend dealing with Bill – he's a nice guy and knows fur. His catalogue is amazing. I put 6 snaps around the edge of the jacket hood. Then I sewed together this brown cordura "collar" with a wire frame along the leading edge. The wire is inserted into a channel I sewed into the front of collar – makes it much, much easier to mold the ruff around your face. Having the wire in there is really important in my opinion. This collar snaps to the hood. I used leather needles (they're triangular shaped) to sew the fur to the collar. Bill Worb also sells these. The fur wraps around the collar so the hairs point out, and away from your face. You'll need to order a little more fur then you need, then cut then fur to length with a razor blade. Cut it from the hide side, breaking through using gentle strokes so you don't lose too many hairs in the process. Slowly and carefully pull the pieces apart. Here's the final ruff. Sewed the collar itself with a machine. Sewed the fur to the collar by hand because you have to constantly brush away the hairs from your seam when you insert the needle. Now you just snap the collar on to your hood. I found my pieces at Value Village and at a fleamarket...don't think I spent more than $5 for each. Thanks for the great pictures pinecones. Very helpfull. Yes excellent post Pinecone, very good, thank you very much. I'll probably have a question or two for you once I can sit down and really think about it but I wanted to get a thank you off to you now. You're welcome and good luck with your project. Don't think you'll need to hunt your own coyote as their numbers have peaked in recent years - trappers apparently bringing them in a lot. Nice coat you have there. Nice looking anorak! I am always interested in learning how these Ventile products perform. Please keep us posted on how it worked for you. I'll second what Wooley said...Salvation Army etc. I got mine from my mom's old coat though. Thanks a lot Pinecones : Great post! 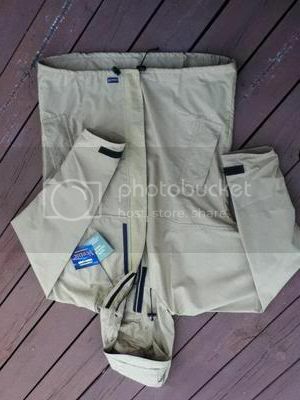 For the hilltrek ventile anorak (simple layer) : very good wind resistant stuff, good water resistant, not water proof. Well made in a traditional way (if you want more actual cut, you could see Klattermusen in "Etaproof", but the price is stratospheric). A good source for fur can be a local taxidermist. They often have scraps laying around from animals that were too damaged to mount. They may also be able to connect you with a local trapper or varmit shooter who would have a pelt for sale. You certainly don't need a full pelt. Last piece of advice is make the ruff removeable. You will want to wash your anorak, and don't want to have remove and sew the ruff back on each time. The advice already given has been good about how to attach it. I'm reviving this old post, to add a question about a coyote pelt. I recently bought a full pelt (ie whole animal) and was wondering what part of the pelt are typically used for a hood ruff? From looking at the thickness of the fur along the entire animal, it looks like the longest hairs are found along the top/ridge. My thinking is that I'd sew together maybe 3 pieces to get the thickest ruff. Hopefully someone here can confirm this. Also, does anyone know if any sort of washing/treatment is required on the fur? It somehow feels a bit oily to touch. I'm not sure if this is normal. I wonder if I'd do damage to the fur if I washed it in a mild soapy solution. Usually the ruff is made of a few pieces that runs from side to side, on the back of the animal(pelt) so you end up with a ruff that is consistent in look and thickness. good luck and show us your final product! Thanks. That confirms my thoughts. 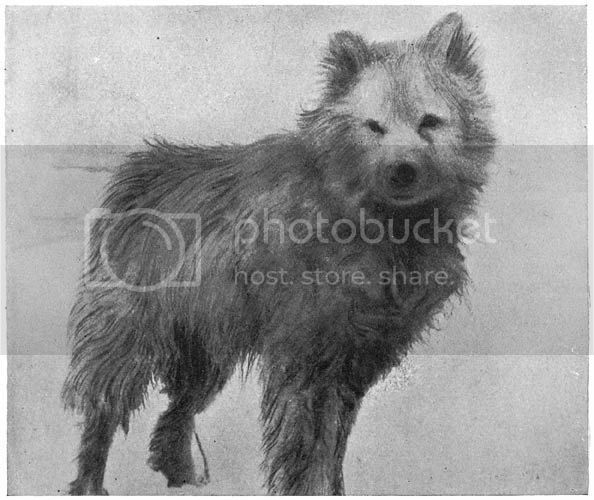 It seems that "center back" is ideal for a hood ruff as it provides the thickest and longest fur. It would be nice to have one long continuous piece instead of sewing multiple pieces, but we'll see what I can get out of my pelt. Oh, and washing the pelt with a mild detergent (ie dishwashing) is apparently fine to get rid of any oil (or blood stains). Some borax or woolite is recommended to finish off the cleaning, as both borax and woolite apparently give off a nice shine and also fluffs up the fur.